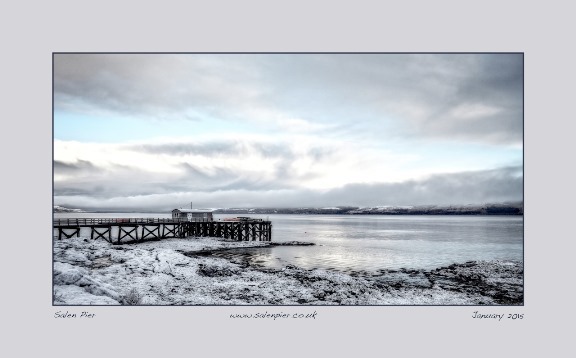 Salen Pier Holidays - in the winter. 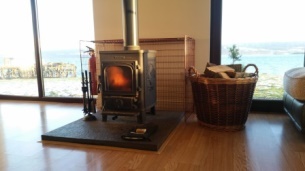 All the properties are to modern heating standards with underfloor heating in all bathrooms and log stoves in living areas. Take a winter break and enjoy stunning scenery all about you from the comforts of our properties. Long weekends and flexible weeks are available during winter months as well as reduced occupancy rates for the House. Visit the islands Spa and swimming pool open all year round at Craignure. With plenty of space for everyone the lounge is a great place to relax. 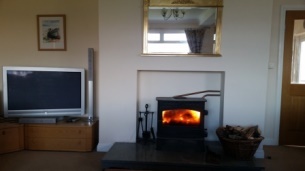 The fire heats the hot water, along with the oil central heating. There is also a large entrance porch/drying area. 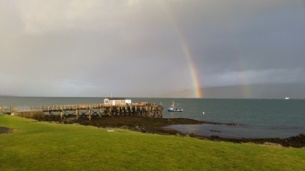 Set 10m from the sea with breath taking views of the Sound of Mull and Glen Forsa from large windows and conservatory. Under floor heating at the entrance and the fire keep you nice and warm. 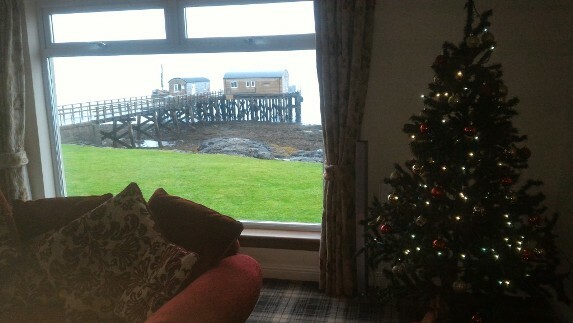 Salen Pier Holiday properties are ideal locations for a family gathering at Christmas or New Year. The Lodges each sleep 4, plus the House 13 - so if you have a large group we have beds available in the winter for 21 !!!
" 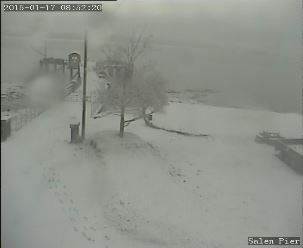 Staying at Salen Pier Lodge is a pleasure any time of year but we love it in the winter. This is the third year running we have visited in January and there's nothing nicer than 'cosying up' in front of the log burner watching the weather do its worse outside. The otter doesn't seem to mind if it's raining, hailing or snowing so we always have our binoculars in one hand and a mug of tea in the other! 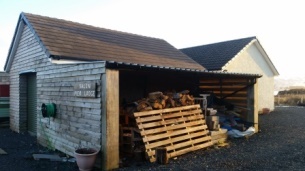 In the log shed you will find plenty of pre cut wood, plus an axe to make your own kindling. 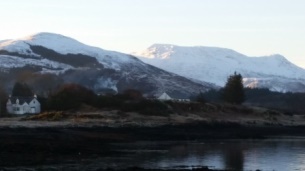 It doesn't often snow like this on Mull, but when it does it looks very beautiful! 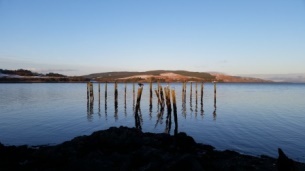 The 'old pier' and looking across Salen bay to the ruin of Aros Castle. This is a one minute walk from 'new' Salen Pier. Across Salen bay, Salen village with Ben More seen in the background.